We like that our customer takes part in all the stages of the product creation. We carefully choose the materials and carefully follow all the production phases in order to make our products perfect. BOZZI s.a.s. is a well-known company founded about 50 years ago and went through three generations. By the passing of the years the company has become a leader in the production of wooden chairs and tables. Since 2005, the company has been designing and implementing complete furnishings for bars, restaurants, holiday farms and any other accommodation facilities. In our headquarters you will find a large showroom where you can see with your own eyes the quality and the robustness of our products. From the foundation to this day, the company has developed over time. Even though it is a small family-run artisan business, the company can count on highly experienced employees and partners working in the field of joinery and furnishing. 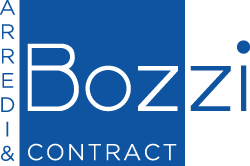 Bozzi has always believed and then invested not only in human resources, but also in cutting-edge equipment in order to guarantee a refined product. Moreover, in 2009, Bozzi moved to a new building of about 4000 sq.m, where 800 sq.m are dedicated to painting, 400 sq.m to the offices and the showroom and the rest of the space to the first manufacturing stage and the storing of semi-finished and finished goods. Therefore, having today a good production potential, the company has set itself the aim to increase its customer base and then establish trade relations with new distributors both in Italy and abroad. With over 40 years experience in manufacturing techniques and in the realization of custom-made products and furniture, we guarantee a top-quality service. We carefully choose the materials and carefully follow all the production phases. Our goal is to offer our customers a quality product. Our entirely hand-made manufacture is supported by numerical control machines used on the processes of turning, cutting, milling and painting. Our service begins with the design and ends with the turnkey product. We range from the production of chairs and tables to the creation of entire environments.